Food & Agriculture. Systems. Planning. 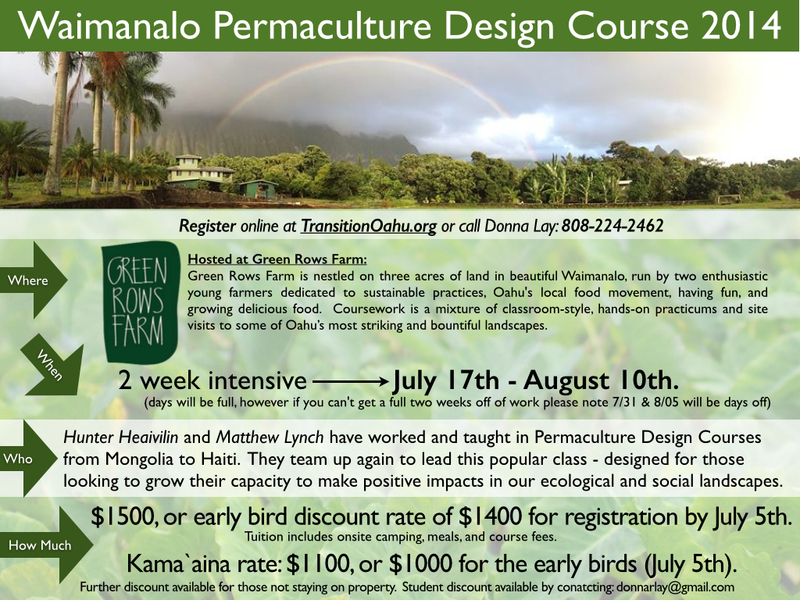 Visit our registration page at Transition Oahu to learn more about our upcoming Permaculture Design Certificate (PDC) Course running from July 27th through August 10th.